Helllooooo!! I'm having such a great time in this summer weather-- the humidity and temperatures have finally leveled off a bit out here on Long Island, and it's nice to be able to sit comfortably outside again! I'm so much in the summer spirit (#SALTLIFE) that I'm showing off some of my favorite lip glosses for this time of year. Between general summer skin things (sweatier skin = healthy gleam) and makeup trends right now (dewy/glossy everything), this post should be pretty helpful. 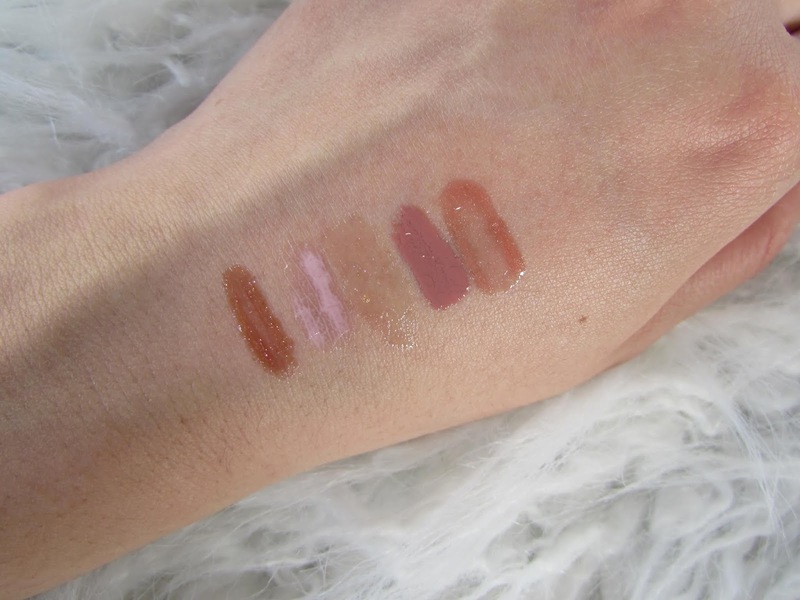 Keep reading for my top 5 lip gloss picks! Looking for a gloss that packs the sparkle and also a darker pigment? This copper rose color looks great paired with a night look, and the little sparkle pieces look like crushed gold and diamonds. This classic gloss became super popular when it came out that Kim K's makeup artist used this on her all the time. The beautiful milky pink is sheer on lips but leaves a glow that's hard to miss. I've been using this gloss for years! If you're looking for a gloss that's super shiny without any shimmer and literally looks natural on every skin tone, look no further. My FAV gloss right now is this one right here. I have a whole review you can read by clicking here, but long story short, this smells great, is an amazing shimmering pink/brown, and doesn't feel sticky.